Author Interview: Yiyun Li, Author Of 'Kinder Than Solitude' Yiyun Li's latest novel is a coming of age novel set in the Tiananmen Square era in Beijing. 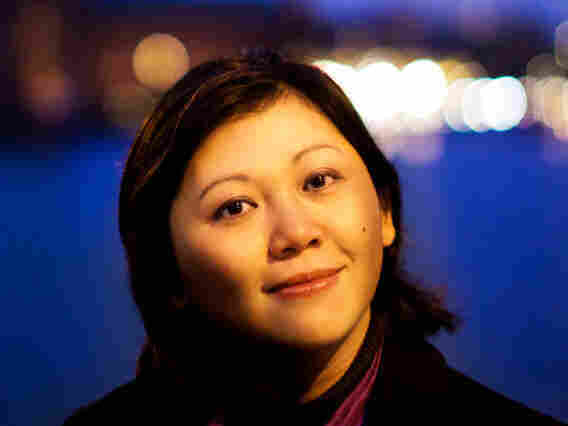 Li spoke with NPR's Rachel Martin about lonely youth and China's post-Tiananmen generation. Kinder Than Solitude, the latest novel from Chinese-American author Yiyun Li, examines the impact of the 1989 Tiananmen Square massacre on a generation of youth. Following three friends, the novel alternates between 1990s Beijing and present-day America, where two of the friends immigrated. At the heart of the story is the mysterious murder that brought the three friends together over 20 years ago, and what they're only now learning about it. Li spoke with NPR's Rachel Martin about the universality of loneliness, the impact of Tiananmen on a generation of youth in China, and her decision to immigrate to the U.S. I think Moran, one of the women who left China, she always cited solitude as her best companion. But at the end of the book she said she realized she did not have solitude, all she had was a life-long quarantine against love and life. And that's one thing I learned, or I was trying to make clear through the character, is you know, solitude is important, but sometimes solitude also has a deceptive surface. People use solitude as an excuse not to connect to other people. So in the end I actually changed my view of solitude a little bit, and I think that's why the title is Kinder Than Solitude, because solitude can be kind, but there has to be something more than solitude. I knew from very early on I wanted to leave China. I was about 10, so this was in the early 1980s, when Chinese people could first leave China. And I think the reason I wanted to leave China was the same reason, you know, all children, when they grow up, they want to leave the house, they want to leave their parents. But America had this attraction to me because it was such a strange place, I knew nothing about it. And I think I really wanted to leave a familiar life for nothing. If you look at the older generations of characters in the book, they are very attached to Chinese history. They talk about history, they talk about the famine, they talk about the cultural revolution. But this generation of the three friends, they're a younger generation. You realize they want to detach from history. You know, 1989 happened when they were 16. Tiananmen Square, the massacre there happened during their lifetime. But none of them would admit it played a huge role in their life. So that, I think, really is what has been happening in the past 20 years in China. I think the country's becoming richer and people are less attached to memories, these certain parts of memories, historical memories. 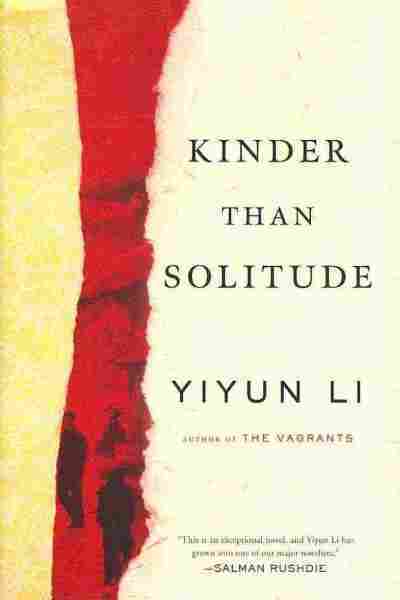 Kinder Than Solitude is Yiyun Li's sixth book. I would say it's a very universal theme. I think situations can be different if you look at different countries, you know, maybe it's famine, maybe it's lack of material richness, but if you look at even in this country, in Western countries, I think young people suffer for the same reason, that they have to make their transition from young people to adulthood and there's so much unknown in the wide world.